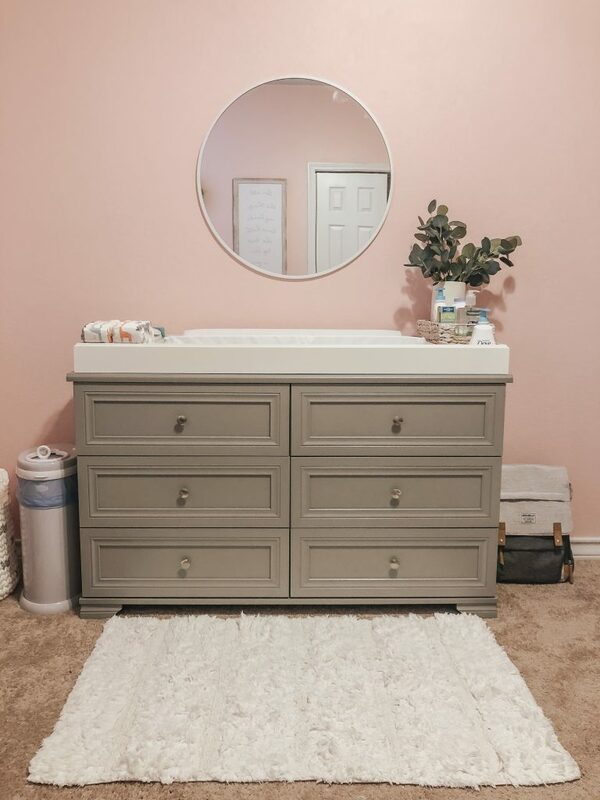 Kennedy’s Nursery is done and we are ready for her to arrive…or as ready as we can be! I’m not sure anyone is ever really ready especially for their first baby! 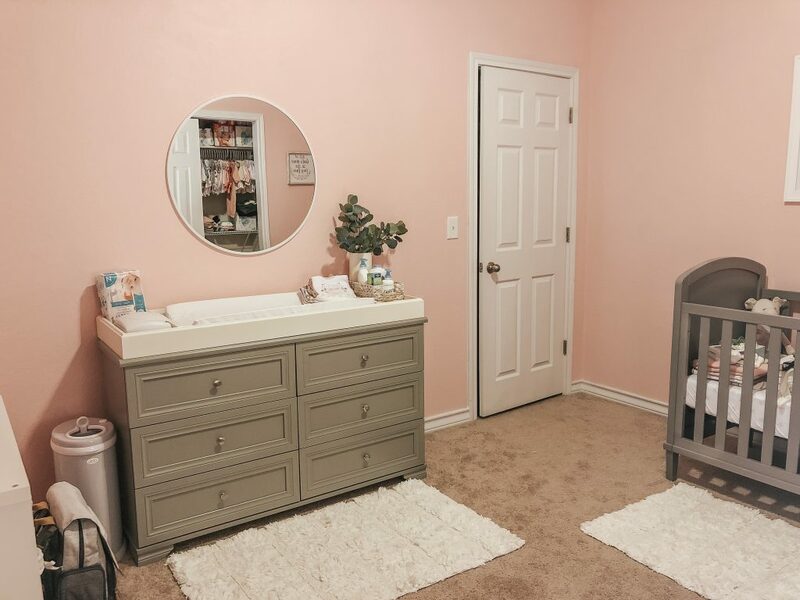 Decorating her nursery was so much fun! 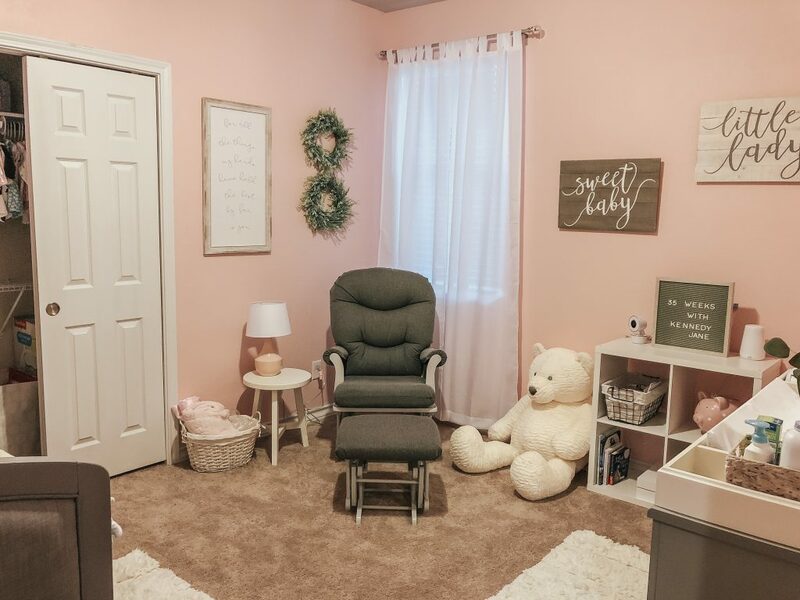 The moment we found out that we were pregnant I started looking on Pinterest for ideas! My first idea was to paint a wall navy blue and accent with pinks and grays…that idea didn’t last too long. The nursery isn’t huge and I felt the dark wall, even one, would make it feel even smaller. 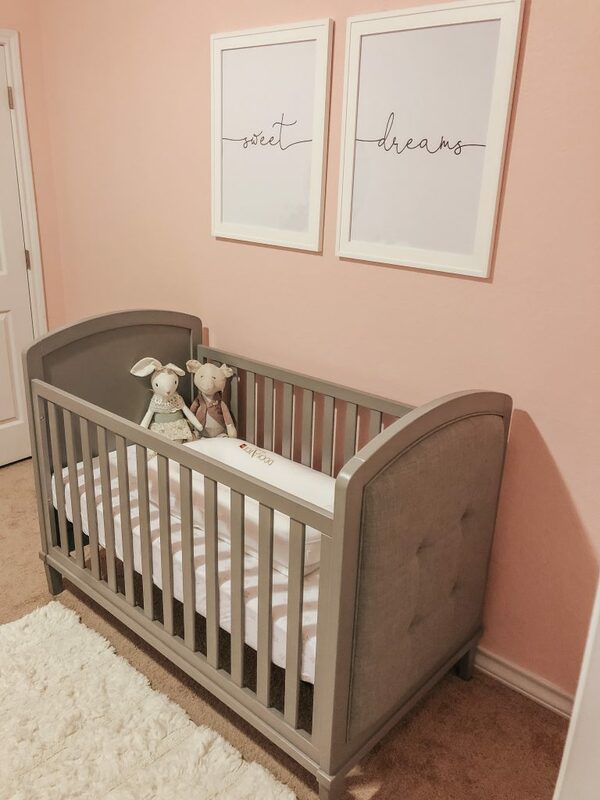 I quickly moved on and we ended up choosing a soft pink with gray and white accents. 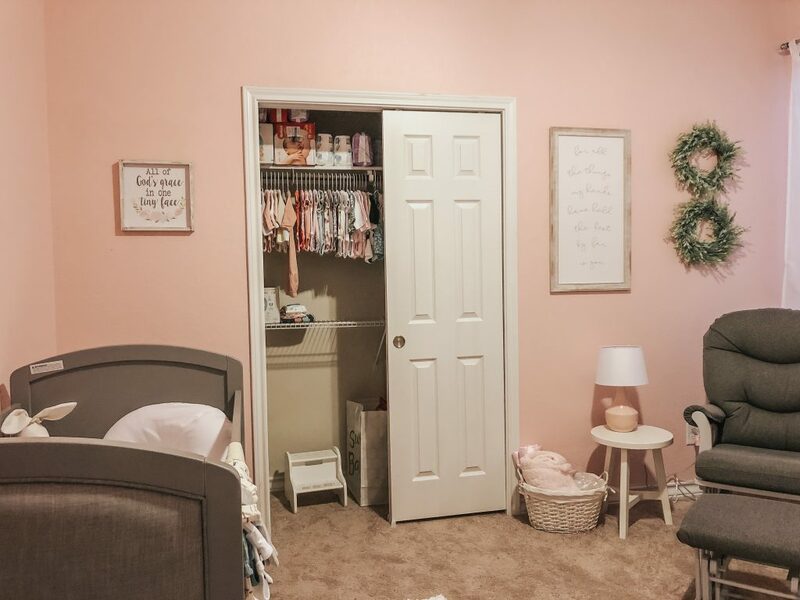 I was a little worried when we finished painting that it was too pink. Once we moved in the furniture and decorated the other colors toned down all the pink I felt was on the walls. 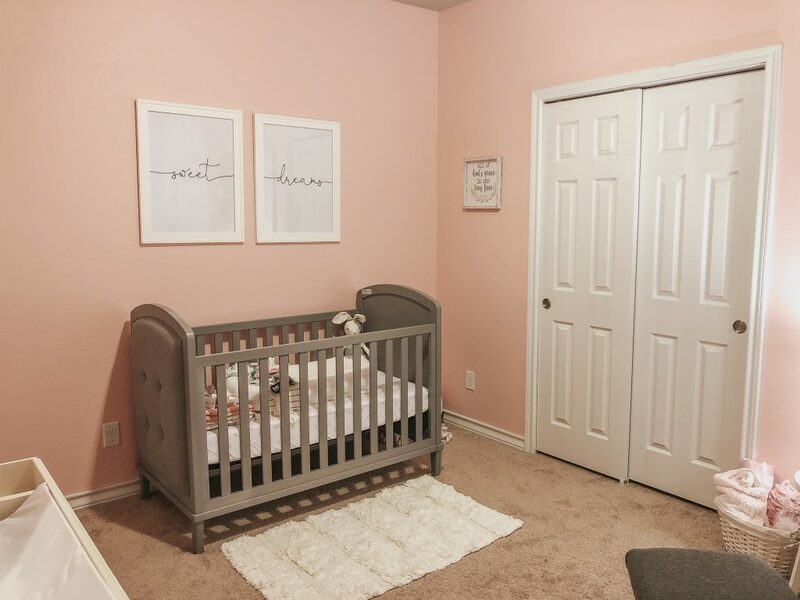 Needless to say we are so in love with Kennedy’s nursery…now all we need is our sweet little girl to really make it complete. Everything that I was able to link I did for you guys. Links are at the bottom of this post, just scroll to the end and you’ll see everything. The items I am unable to link I’ve shared where I got them. 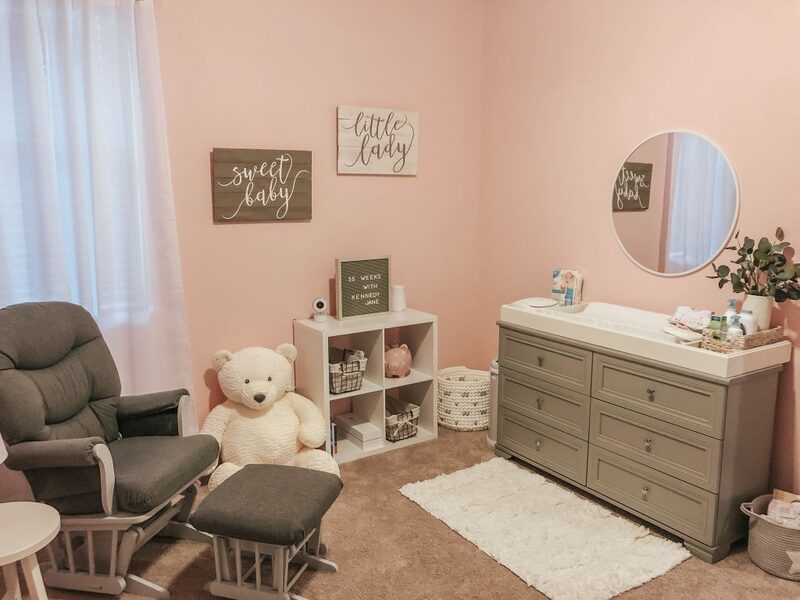 If you are interested in reading about my baby registry click HERE, there are so many other items linked there as well. The exact crib is sold out / I’m not sure they make them anymore! We got such an awesome deal on it on Black Friday so jumped at getting it! I did link similar options though for you guys! 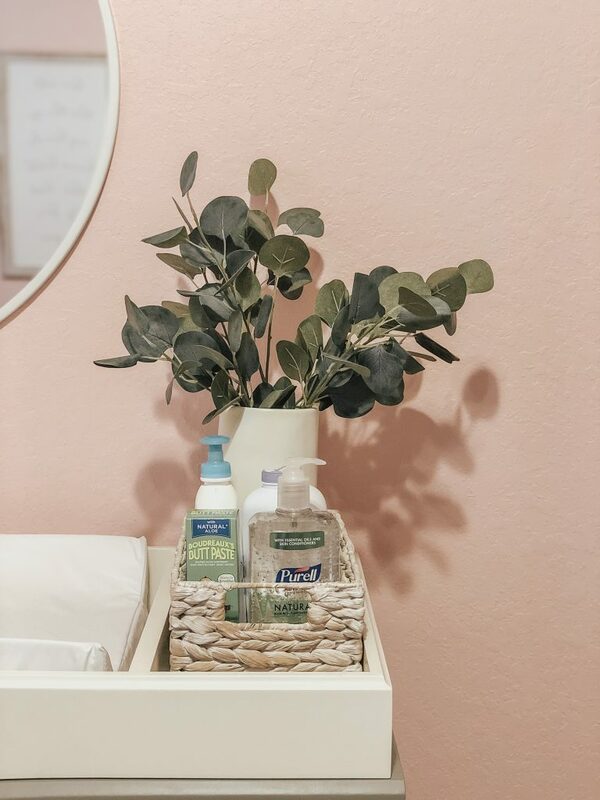 I am so happy I got the drawer organizers – just helps keep everything nice and organized! 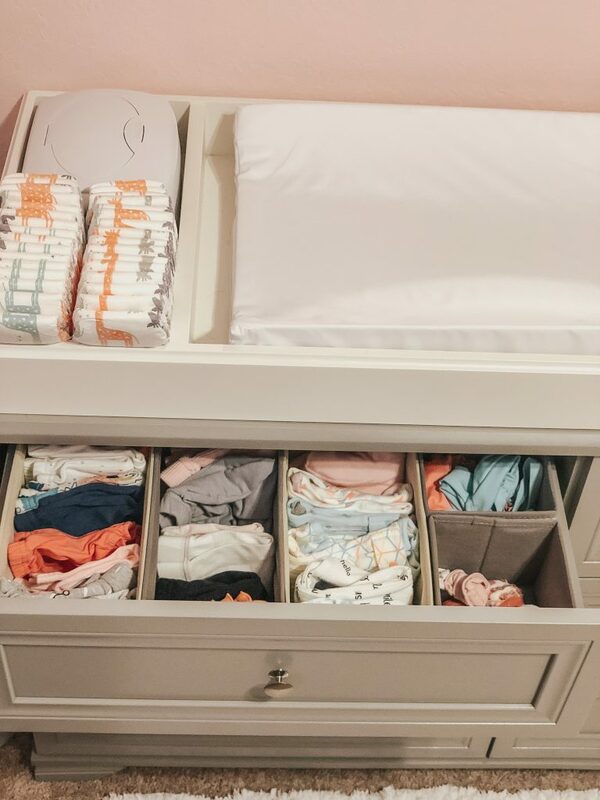 Hopefully as time goes on the drawers stay nice and organized………..